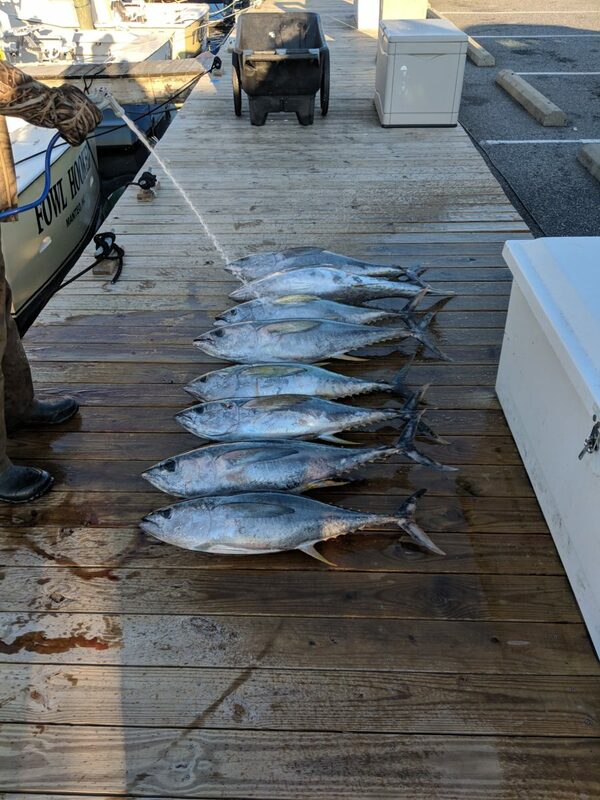 We are excited to be writing this fishing report, after all the crazy weather we have had… One Charter boat ventured out this morning, as did a few of our private boats. 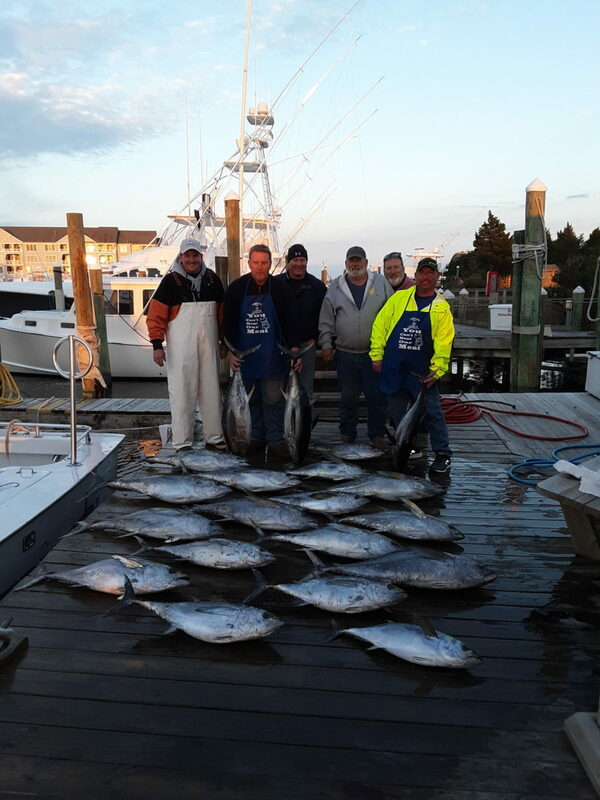 All came back to the docks with a great catch of Yellow-fin Tuna and Black-fin tuna.!. What a great day.!. 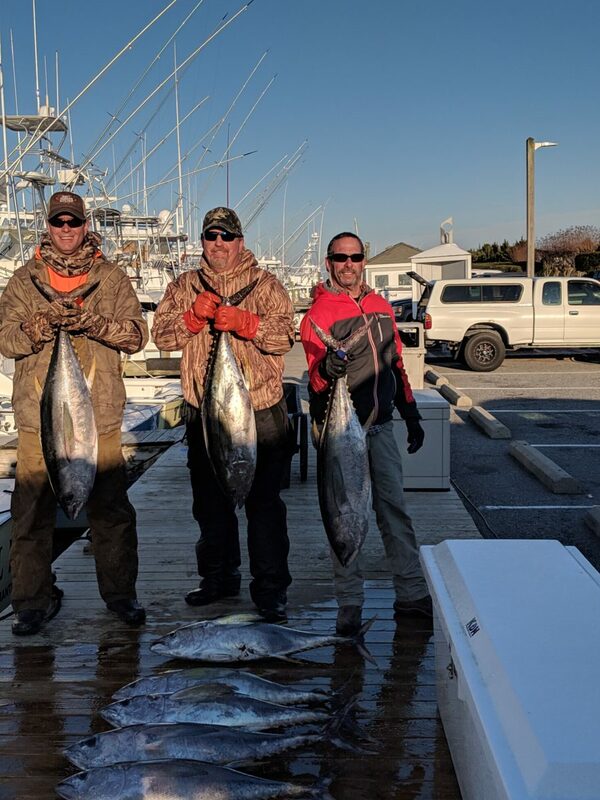 Blue-fin have seen and and caught, so don’t let them have all the fun…It’s time to get hooked up and fill your freezers! Give us a call (252) 473-3906 or visit us online at www.fishpiratescove.com , and we’ll get you rigged up. !.